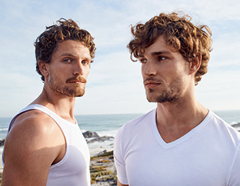 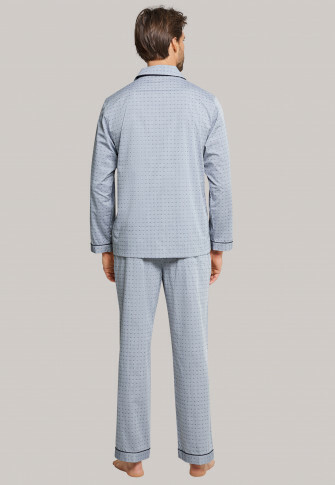 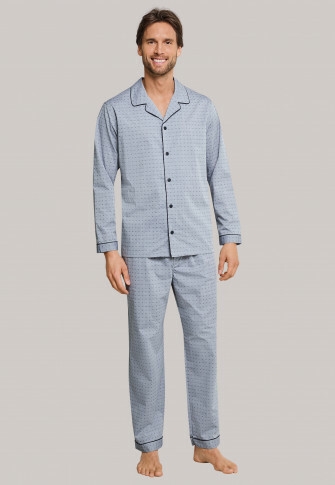 This long, grey men's pyjama combines a classic design with woven cotton. 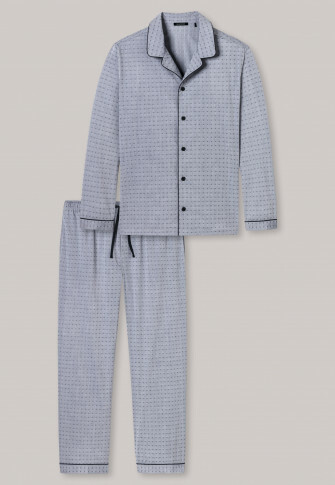 The minimalist jacquard pattern gives the two-piece its elegant character, which is harmoniously rounded off with the dark grey piping on the collar, sleeve hem, button placket and trouser pockets. 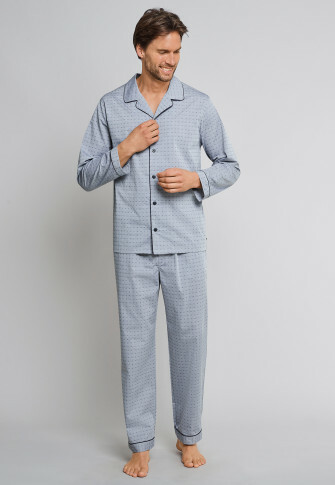 Dark grey buttons, a drawstring and the functional button placket set further practical details, so that the pyjamas can score points all away thanks to the proven best SCHIESSER quality!